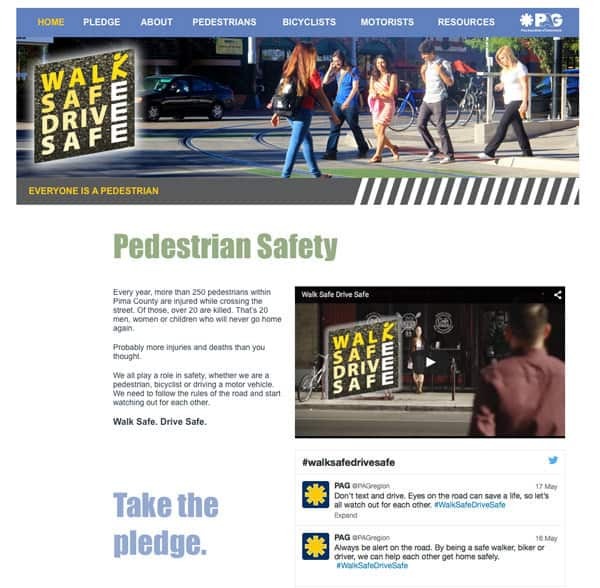 The Pima Association of Governments recently approached me about creating a PSA on pedestrian safety for their Walk Safe Drive Safe campaign, which is designed to encourage pedestrians to cross safely at intersections and drivers to watch out for pedestrians. I was privileged to work with a great team in this project, including the creative minds at OpenForm Studio. 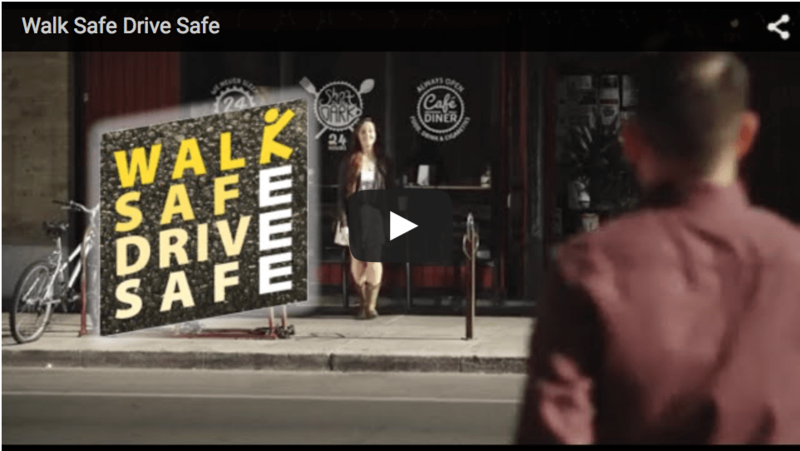 We filmed the spot in front of one of our favorite downtown cafes, the Shot in the Dark Cafe. Go to www.walksafedrivesafe.com and take the pledge!